I love apps as you may know from reading this, but I especially love fitness apps! I have discovered yet another great one that I though you should all try out! It’s called Spring Moves. 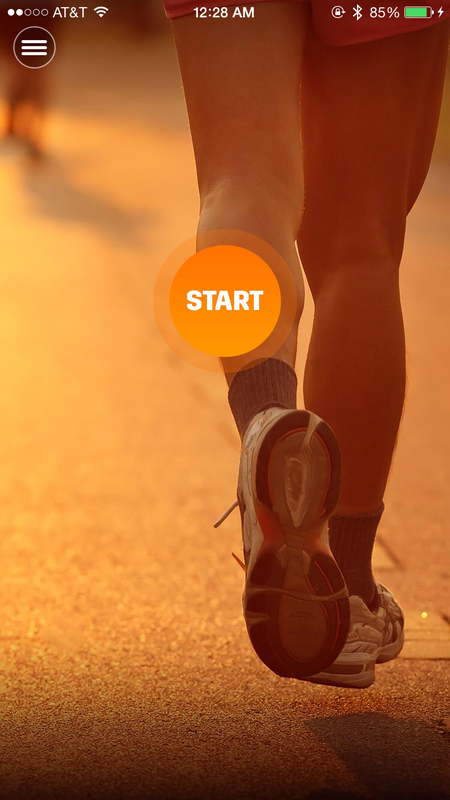 It’s a app geared toward making your run (or bike or swim) musical. 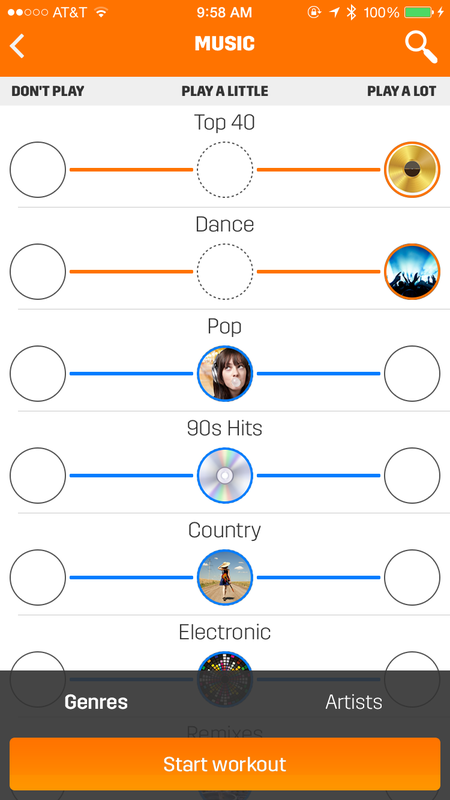 To get started you set up first what time of activity, how fast you wanna go and then the part of the app that truly makes it unique, you pick how often you want to hear either genres or artists. This makes your running playlist just the way you like it. There are more artists available than I was able to go though but after each run you can update the songs that were played if you want them to be played more, little or not at all. During the run, your music plays mixed together with gapless playback which is a great feature that iPhone did not save from the iPods. And if you’re feeling good and wanna step up your speed during the run you can edit the tempo from the screen. 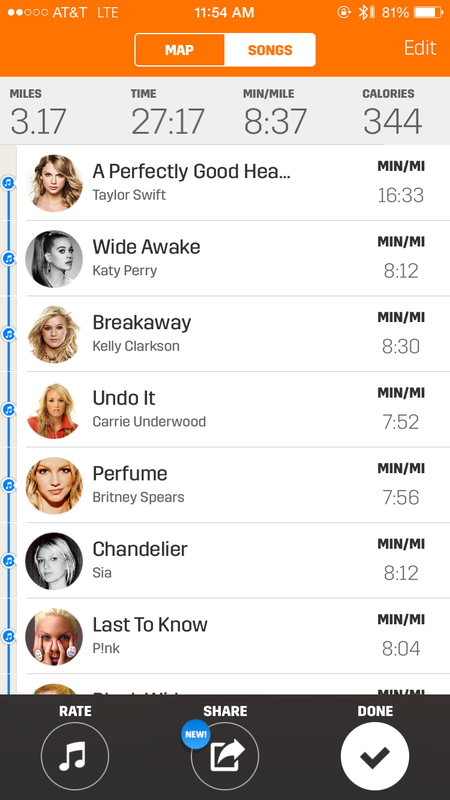 After you finish the run, along with being able to rate the songs played you can view your pace during each song! 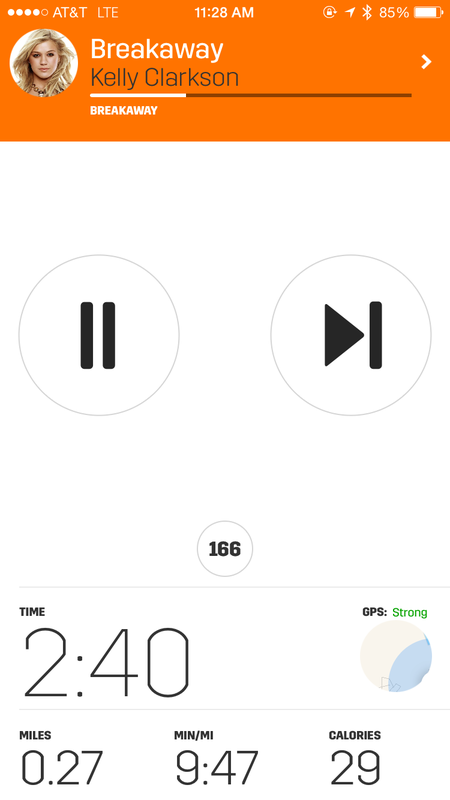 This helps to show you which songs really get you moving. If you display the map view you can see where you were on your route when that song was playing. I also love sharing my runs with social media, typically Instagram. When I hit that share button for the first time I was very excited to see that it creates a Instagram video of my run along with a nice little beat. Thats very unique as most apps have just recently added photos to their run posts. 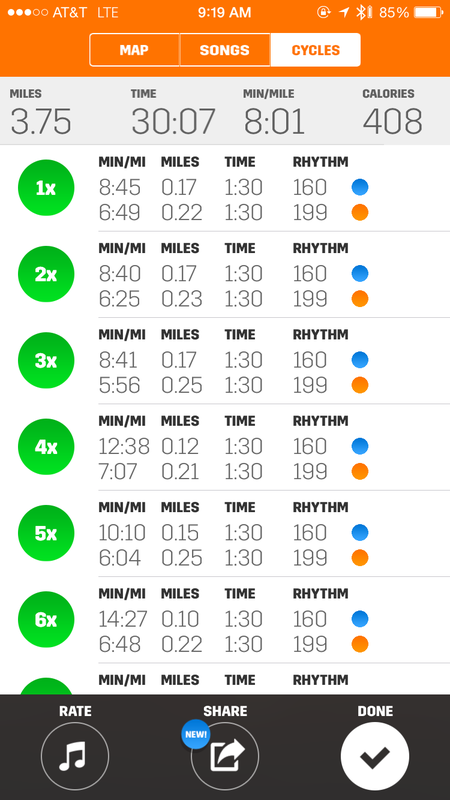 Another great feature of the app is Intervals. You set how long you want low or high temp and it gives you audible queues as when its time to go fast and when to cool down. Almost none of the running apps I’ve used has a feature like this. It becomes very helpful when you don’t have access to a track for your speed runs. Try out Spring Moves today! If you love it, leave them an app store review! Now get out there and move!